The year 2000 was a great year for dance on film. It was the year of the campy classics Bring It On, Coyote Ugly, and Center Stage. But one dance film came out that year that was all heart and no camp – Billy Elliot. West End home since 2005. This film tells the simple, yet moving story of an 11 year-old boy that discovers he loves to dance, set against the backdrop of the UK miners’ strike in the 1980s. 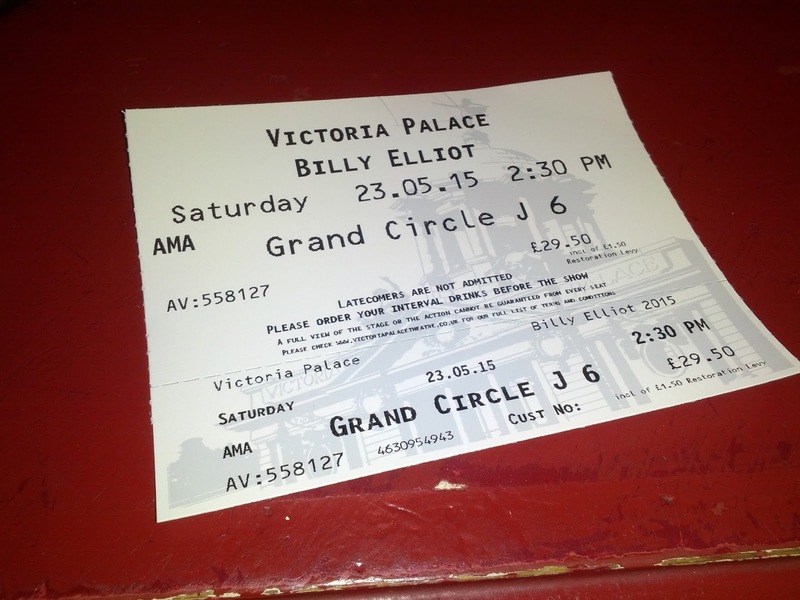 Billy Elliot (a young Jamie Bell) comes from a blue-collar, working class family where his dad and big brother are out on strike, and a tense, unspoken grief hangs over the family since his mum’s death. But there’s no time to wallow and Billy is expected to do what boys do in his mining town: boxing. Too bad the kid can’t take a punch and spends more time face down on the mat than up on his feet…until he stumbles into a ballet class. 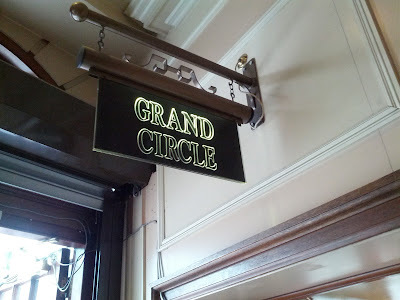 He meets Mrs. Wilkinson (a superb Julie Walters), the jaded, no-nonsense, chain-smoking ballet teacher and through her guidance, finds his life transformed. With a stellar supporting cast, raw, emotional scenes and a great rock/punk soundtrack, Billy Elliot deftly explores family drama, class-struggles, gender norms and the courage it takes to fully express one’s self. I bought my ticket on Amazon. Worth every penny! It’s truly one of my all-time favorite dance films and I’m still so moved every time I watch it. 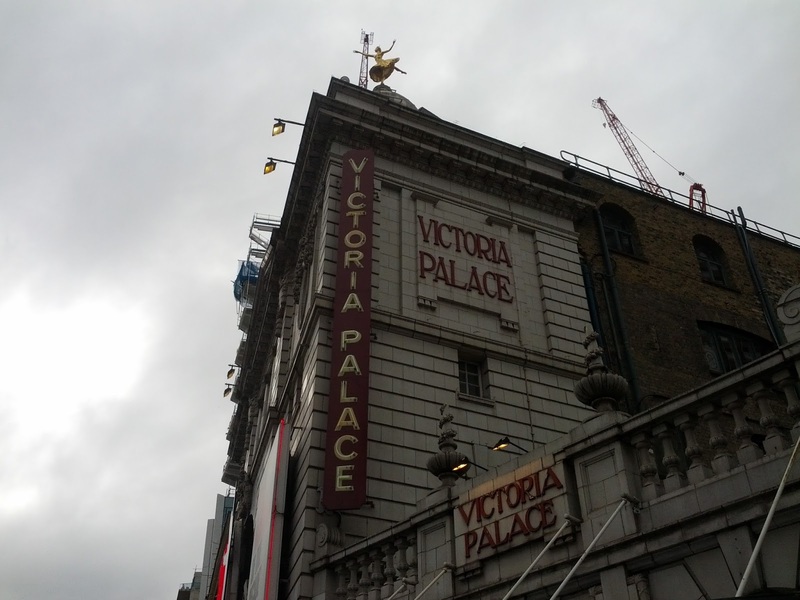 So imagine my excitement when I finally had the opportunity to see the live musical version, on the West End stage at the Victoria Palace Theatre! I knew I wasn’t going to see one of my favorite films simply re-enacted live, in a direct-translation onstage. A successful stage version needs to bring something different to a familiar story, otherwise what’s the point? 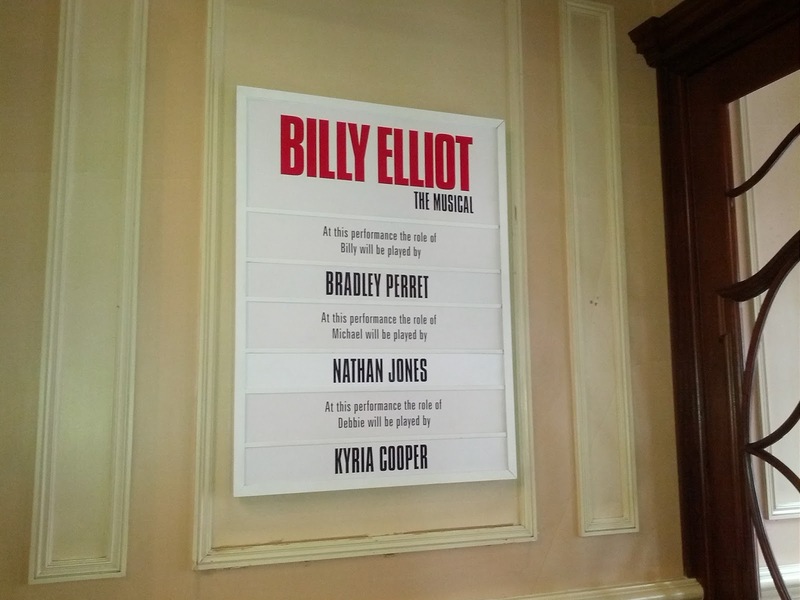 With Billy Elliot, music and dance is already integral to the plot, and with Lee Hall, the original screen writer, adapting the script to stage and Sir Elton John, who after being so moved by the film, wrote the musical score, its transition to the stage was in good hands. These kids are ridiculously talented! “Always be yourself” – These words resonate from the letter Billy’s mum wrote to him before she died. 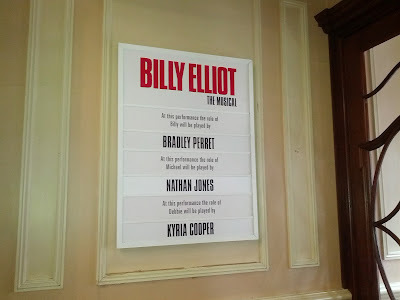 In both the film and the show, he brings it to rehearsal as a source of inspiration and as Mrs. Wilkinson reads it aloud, Billy takes over, quoting his mother’s words from memory as only someone who’s committed those words deeply to heart could do. Onstage, Billy’s mum joins in the song and his desperate, clinging embrace as she has to leave him caused those sitting around me, myself included, to sniffle and wipe away some tears. The ‘Be Yourself’ theme comes up again, with Billy’s best friend Michael and his realization that he’s gay. A short conversation scene in the film becomes a full-fledged song and tap dance onstage with Billy and Michael. “Express Yourself” is a great comedic scene and addition to the original story. And can those boys ever dance! Heading upstairs to the Grand Circle section. “We Like to Boogie” – Both screen and stage versions showcase key dance class moments with Billy and his teacher/mentor Mrs. Wilkinson. These scenes provide important character development for Mrs. Wilkinson and I noticed some interesting differences here. In the film, Julie Walters’ Mrs. Wilkinson is hardened by life and disappointment, at first only focused on the 50p Billy owes her for the ballet class he takes by accident. She gradually learns to re-love dancing and teaching as she works with Billy privately, with no other mention of being paid for her time. One of my favorite scenes in the film is a simple, yet beautiful moment: Billy practices his developés at the barre while Mrs. Wilkinson coaches him through the exercise with patience and reverence for the process and her student. She sees him working hard to improve and for once, she’s satisfied with her role and her life. In the musical, Mrs. Wilkinson’s character is more frustrated and bored by her circumstances than hardened. She finds a protégé in Billy, but also someone she can finally dance with, who cares as much about the performance as she does. Their montage of ballet and tap lessons show the two dancers and their accompanist Mr. Braithwaite, letting loose and loving every moment as both were “Born to Boogie”. Actress and dancer Ruthie Henshall brings a new sass and wit to this character and she sure rocks the leg-warmers-and-heels-look of an ‘80s dance teacher. The Strike – The UK miners’ strike in 1984-85 is a crucial element to the both the film and the musical as the central conflict everyone is fighting against. A life in the mines is the only future Billy believes he’ll have, until he discovers his passion for dance and dares to dream of doing something different. As the strike drags on in the film, the ever-present police in their riot gear become part of the scenery, completely standard and normalized. Billy and his friends barely notice them, even as his friend Debbie carelessly drags a stick across their shields on their way to school. But tensions do eventually erupt and the police make their presence known with violent consequences. 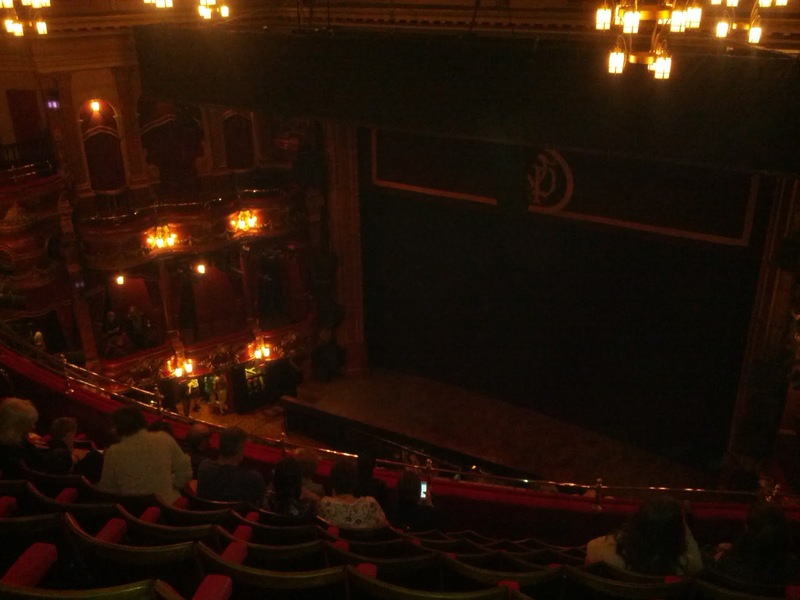 Far away, but still a great seat! 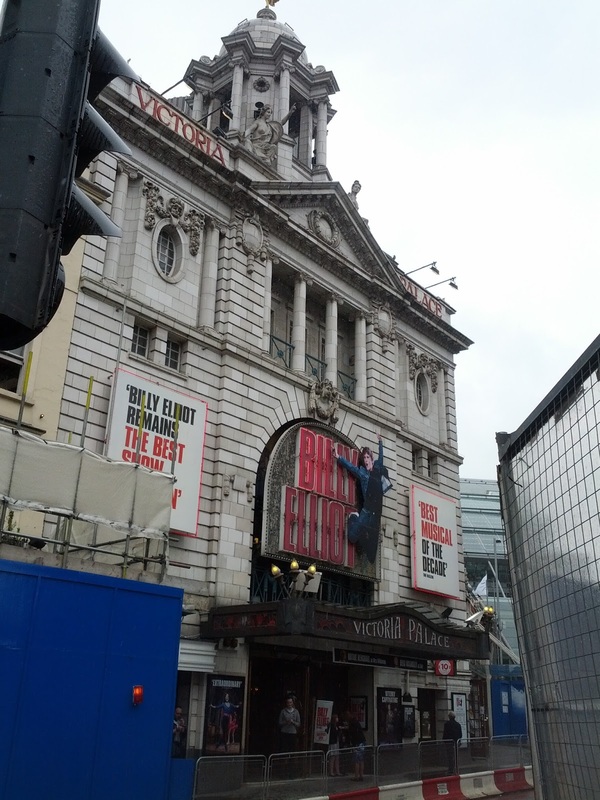 In the musical, the police presence and the ongoing strike is used very creatively to highlight the turmoil that surrounds Billy and his struggle with admitting his likes to dance. ‘Solidarity’ is a great four-way tug-o-war scene between the police, the striking miners, Mrs. Wilkinson and the dancers. The police and miners, each waving either a baton or a rolled-up strike poster, taunt each other through song and criss-cross their way through the dancers. As this unfolds, Mrs. Wilkinson shouts corrections to the dancers (“Arms!” “Heads-up!” “Don’t just stand there!”) and the ballet girls chant the counts of the steps. Meanwhile, Billy attempts some chainé turns and surprises everyone – especially himself – when he takes to the movement like a duck to water. As the lyrics turn harsher and more explicit, the tension between the cops and miners grows and the strike drags on. But Billy keeps dancing, improving with stout determination that mirrors that of his mining family. “Electricity” – This is the only word Billy can think of to answer the auditionner’s question: “What does it feel like when you’re dancing?” He struggles to explain how it feels, that he ‘forgets’ about everything and feels ‘electricity’. Jamie Bell’s performance in this scene is so sincere, so genuine. Anyone who’s ever tried to answer this question, and even those who haven’t, can understand how dancing makes this boy feel. It’s the moment in the film when I always tear up because it’s so spot-on. Thank you, West End! I'll be back! The Billy I saw in London, Bradley Perret, took this moment to the next level when he burst into another dance, a combination of ballet, hip hop and gymnastic tumbles around the stage and his bewildered father. This kid’s talent can’t be denied, nor can the sheer athleticism of dance. It’s clear this young actor loves to dance as much as his character and the audience loved him for it too. So after all that, which version – screen or stage – do I prefer? Even now, as I write this and relive my favorite scenes, I can’t choose. All I can say is that I laughed, I wiped tears away, and I wanted to cheer as I sat in my seat in the Victoria Palace Theatre, and I remember feeling the same way when I saw it onscreen for the first time, 15 years ago. What else can I say? It’s been on my Paris dance bucket-list, as it should be for any dancer abroad, and it delivered so much for the 17 euros I spent there. 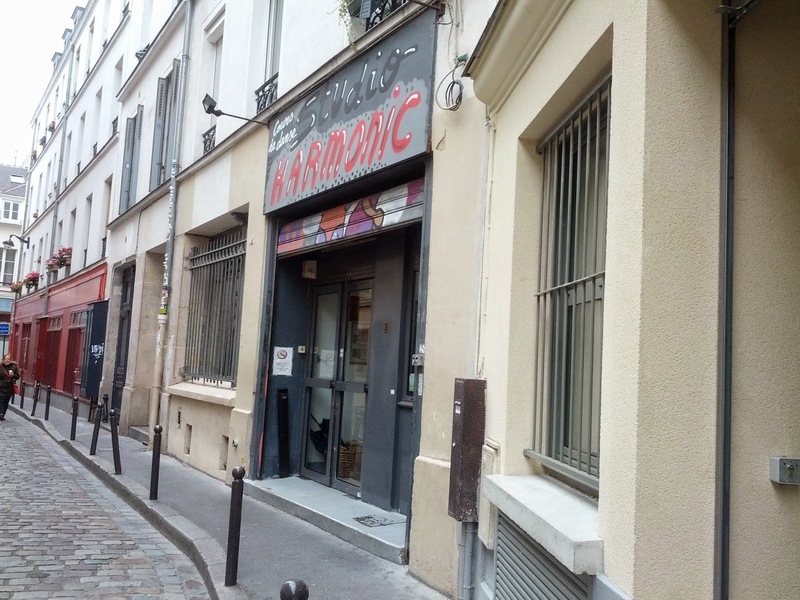 I recently went to a Contemporary Dance class at Studio Harmonic taught by veteran dancer Martine Lacroix. There were five other dancers in the class, myself included, and we got started right away with an extensive, flowing, very breath-centred warm-up and we barely stopped moving for the entire 90 minutes. The flow of the warm-up extended to the rest of the exercises, which built up very smoothly and gradually increased both the physical and mental challenge. The combinations were long and dynamic, which was a great memory test. I generally favor the right side of my body out of habit and I really appreciate it when a dance class really pushes me to adapt quickly when repeating a combination on both the right and left sides. My balance was tested but it improved with each attempt and with the encouragement of the instructor. Martine Lacroix’s teaching style struck that tricky balance between keeping the pace and flow up, and finding opportunities to breakdown key exercises, using us dancers – myself included – for short demonstrations, and offering feedback. This is not an easy thing to accomplish in an hour and a half, with some dancers who are new to her class and style, but she made it feel very natural. 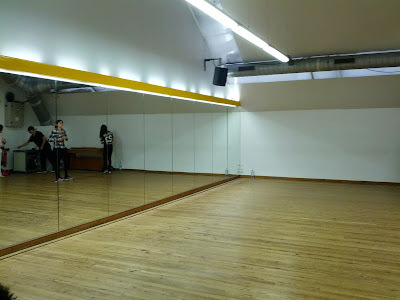 She also challenged us by alternating the music selections for some of the exercises, which forced us to adapt the movements from slow, calm and sustained, to quick, sharp and dynamic. There was even some improv during the last two run-thrus of the final combination: we had 32 counts to play with the different accents in the music and explore weighted, heavy movement and contrast those with moments of levity and elevation/suspension. She reminded us that there were no wrong movements, to take risks and to just enjoy, which I sure did! It felt so great – flowing, connected, challenging, physical, creative and joyful – basically everything I love about contemporary dance. It was the best 17 euros I spent this long weekend and I look forward to checking out more of what Studio Harmonic has to offer. Studio F, one of 8 studios were the magic happens. PS. 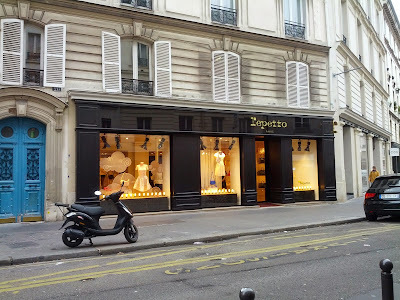 As I was walking out on Passage des Taillandiers, I took a left turn when I should have taken a right and ended up walking past one of the beautiful Repetto Paris shops. Repetto is a famous brand of pointe shoe and they've also created a line of exquisite designer ballet flats, which are pricey to say the least! 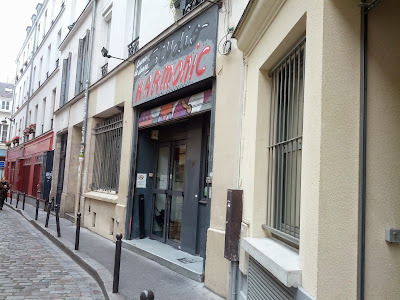 But it was still fun to check out the gorgeous shoes and dance clothes in the shop before I found the right way back to the metro. Sometimes, a wrong turn can be a fun turn just the same! Beautiful shop...makes me miss pointe shoes...almost!